If you’re arrested, the Miranda rights stipulate that you have the right to have an attorney present during questioning, and if you cannot afford an attorney, one will be provided for you by the state. What the Miranda rights do not say is that if you cannot afford to hire a private attorney, the appointed lawyer will be glaringly underpaid and overworked, and as a result, will not be able to devote as much attention to your case, rendering your defense fatally weak. Once charged with a crime, the sixth amendment grants you the right to a speedy trial. What the sixth amendment doesn’t say is a speedy trial might not be possible if you are sitting around waiting for a public defender to accept an extremely low wage to defend your case. While you wait for an attorney, you may appear in court for the judge to set a bail bond. The eighth amendment protects you from imposition of excessive bail. What the eighth amendment doesn’t say is that the definition of “excessive bail” won’t be adjusted based on your income, so if you cannot afford to post bail, you may simply have to be detained pretrial. Once your case reaches trial, the sixth amendment allows you to appear before a jury of your peers. But there’s no fine print in the Constitution letting you know that a jury of your peers is much harder to assemble if you are poor, as poorer people are less likely to be able to report for jury duty, so you may have to face not a jury of your peers, but a jury of people from remarkably different economic backgrounds. Many minor offenses don’t necessarily warrant jail time — just a fine. But thanks to Jeff Sessions’ Dec. 2017 repeal of an Obama-era prohibition of debtor’s prison, or incarceration of those too poor to afford fines, those unable to pay the fines end up serving jail time for even minor traffic violations. Not to mention the fact that people from lower socioeconomic backgrounds are more likely to be stopped by police and arrested in the first place. It would be remiss to ignore the intersection of income inequality and racial inequality, particularly as it pertains to this issue. While black people make around 13 percent of the U.S. population, they make up about 40 percent of the prison population. This divide is even starker in Wisconsin, where their incarceration rate for black men, at 13 percent, is nearly double the national rate. Racial inequality is further compounded by income inequality — low-income black men have a 52 percent chance of being incarcerated at some point in their lives. 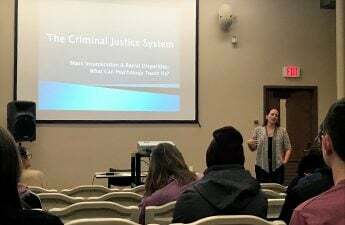 The intersection between race and income is deep and complex, and systemic racism further complicates all of the issues in the criminal justice system related to income. A report from the Prison Policy Institute found that prior to their imprisonment, incarcerated people had a median annual income about 41 percent lower than those of non-incarcerated persons of similar ages. And it’s no wonder — with the odds stacked against them every step of the way, those of socio-economically disadvantaged backgrounds are basically screwed from the minute they are stopped by the police. And even post-incarceration, people have a hard time getting back on their feet, leading to more poverty, increasing chance of recidivism and starting the cycle all over again. The arguments always return to an issue of money — there’s not enough money to pay public defenders higher wages. There isn’t room in the budget to pay jurors enough to make up for missing work. There isn’t enough money to hire more probation officers to help people post-incarceration. But here’s the thing — there actually would be enough money if we spent it in the right ways. Let’s take a look at just one issue of spending in our beloved Dane County. 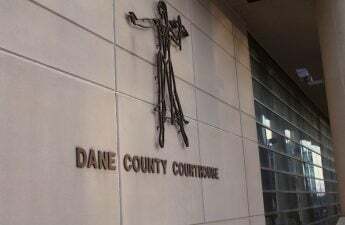 In 2016, the Wisconsin State Journal reported that 128 inmates at that time at the Dane County Jail were being held because they could not afford to post bail, and those inmates were incarcerated for an average of 48 days pretrial. 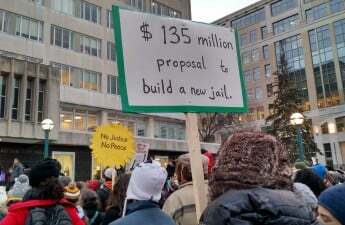 According to The Times News, the average cost to detain an inmate in Wisconsin is $37,994 annually, which comes out to about $104 per day, per inmate. 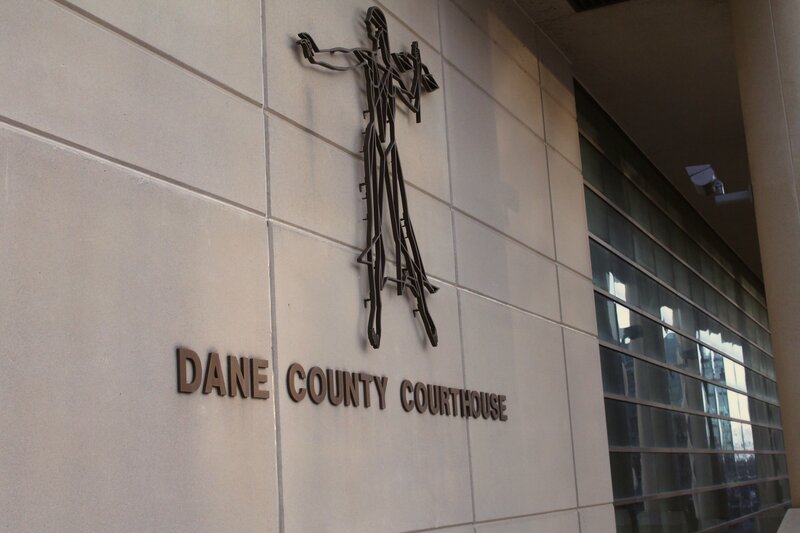 Ipso facto, debtors’ prison costs Dane County around $4,862,545 per year. We already know that the cost of incarceration is very high — that’s not new information. What’s new here, is that there is virtually no benefit to spending that money. There is a significant value to public safety, so spending money on incarcerating dangerous felons is not for nothing. 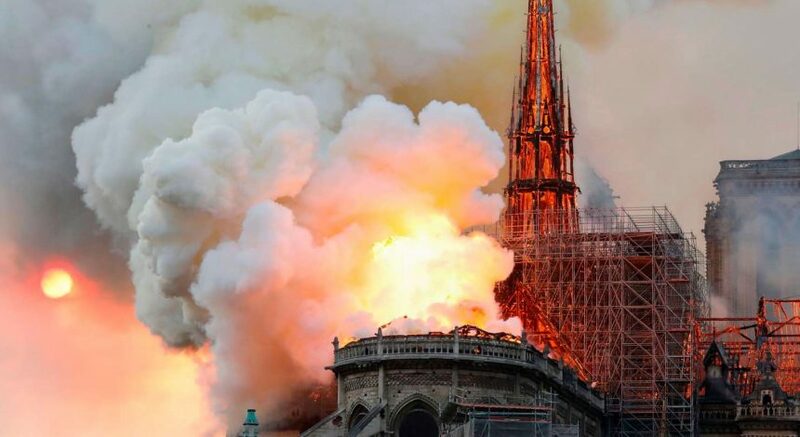 But in the above cases, these people were deemed to not pose an excessive danger to society, hence the option for bail, therefore the only purpose for detaining them is to protect against flight risk. But for someone with an annual income of $15,000, certainly, a deposit of far less than a sixth of their entire yearly income would be enough to keep them in town. This is just one example of exorbitant spending on unnecessary costs, and there are many, many more. With all the money clearly available, it really isn’t an issue of money for the state. It’s an issue of discriminating against those without money. It’s an issue of racial injustice. It’s policing of poverty. It’s punishing people for a lifestyle that they did not choose. The eleventh amendment says,“Everyone charged with a penal offense has the right to be presumed innocent until proven guilty according to the law in a public trial at which he has had all the guarantees necessary for his defense.” What the eleventh amendment doesn’t say is that assumed innocence comes at a hefty price.